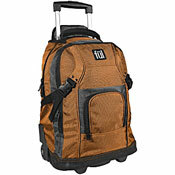 B for Bag offers wide range of backpack luggage. You can choose between all the major backpack brands, budgets, and on-line luggage retailers, while the product search and the filters at the top of each category allow you to search for a specific product. While our luggage price comparison helps you to find the right backpack for your travel needs and guarantees you the best price we can offer. 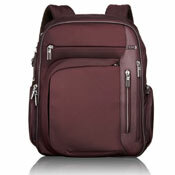 Travel backpacks come in all sizes to fit the different travel needs. 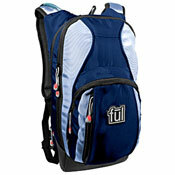 You can get small carry-on travel backpacks, ideal when flying and / or as daypack at your travel destination. 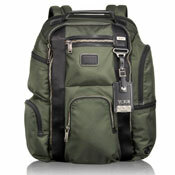 You can also get large capacity hiking backpacks, ideal for longer backpacking adventures. Wheeled backpacks are not intended for carrying on the back for extensive periods but they allow you unique flexibility, i.e. to wheel the bag when possible but carry it on your bag when more suitable. The wheeling system makes them heavier than non-wheeled backpacks, as well as less comfortable to wear. Wheeled backpacks are still great option for many travelers and trips. Daypacks are great when travelling. They are convenient as carry-on luggage and excellent, if not essential, when you have arrived at your travel destination. Just make sure all compartments are securely locked so no one can access your day backpack without you noticing. There are some extra secure daypacks available that are ideal when travelling. Laptop backpacks are great when travelling with your computer and other electronics. The best laptop bags are cleverly organized to securely protect your valuable belongings but still make it easy for you to access them when needed. There are so many fantastic laptop backpacks available that most of us struggle with picking only one. You can really make a personal statement with your computer backpack.